Egypt women volleyball team brought a new twist to the volleyball fashion after showing up in the hot and sandy arena in long sleeves and leggings for their game with German. The contrast in culture sparked an online buzz. "I have worn the hijab for 10 years. It doesn’t keep me away from the things I love to do, and beach volleyball is one of them," said Egypt volleyball player Doaa Elghobashy. 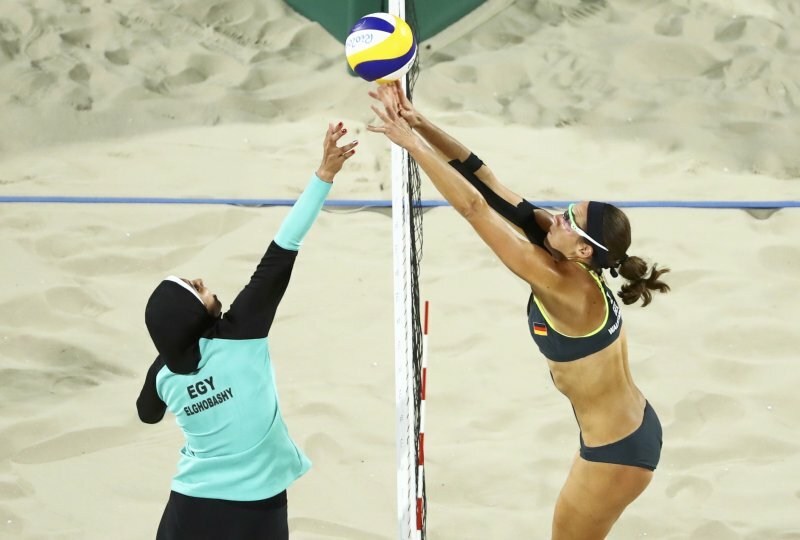 After the 40 minutes match, Egyptian women’s beach volleyball team of Nada Meawad and Doaa Elghobashy were defeated 2-0 by Germany’s team of Laura Ludwigand Kira Walkenhorst.